The Next Bollywood Superstar - Do we have a succession plan? In Indian cricket, the question that was asked for years was ‘who would replace the Big 3 (Sachin Tendulkar, Rahul Dravid and VVS Laxman). In a few years from now, Bollywood too could find themselves in a situation, where there could be a lack of ‘bankable stars’. Well known trade analyst and film critic Joginder Tuteja questions if Bollywood has a ‘succession plan’ in place. Well, as of yet at the least. Let’s look at the scenario. We have the three Khans sitting pretty at the top. Then there are men like Hrithik Roshan, Akshay Kumar and Ajay Devgn filling up the remaining three slots and there we have; the Top 6 which is pretty much sealed and secure. However one does miss that smash entry into Bollywood which made Hrithik Roshan a phenomenon after ‘Kaho Naa… Pyaar Hai’. Now he is someone who got a superstar arrival in Bollywood, something that young ones like Ranbir Kapoor and Imran Khan or to a lesser extent Shahid Kapoor and Emraan Hashmi didn’t quite enjoy. Yes, they were noticed. Some of them even had huge successes to begin with (or soon after). Still, the X factor that differentiates a superstar from a star to an emerging talent was definitely being missed. We have had promising stars in the form of Ranveer Singh and Arjun Kapoor. However it’s a long way to go for them as well. Amongst the seniors Saif Ali Khan failed when he tried to do something different (Agent Vinod) but delivered when it came to something conventional (Cocktail). He too knows that making ‘Cocktail 2’ or ‘Cocktail 3’ isn’t something that he wishes to do for life. This leaves industry with John Abraham and Abhishek Bachchan who have been around for a decade now. Would these be the men fighting it out with other ‘seniors’ like Ranbir, Imran, Shahid and Emraan to be a part of the ‘succession plan? Should be interesting to observe! Do vote below and tell us who you think will be the next big superstar! None! Still waiting for the next Hrithik! Emraan hashmi is the next biggest star of bollywood. 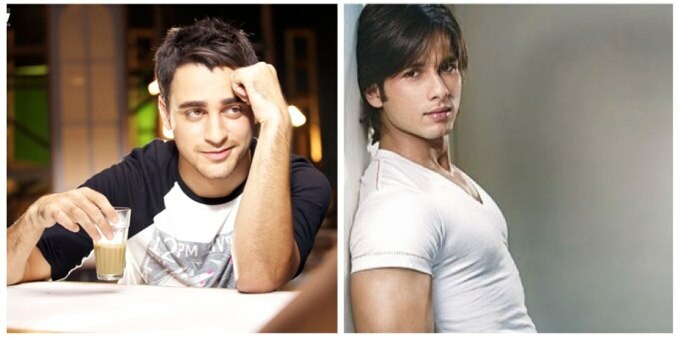 Ranbir Kapoor And Imran Khan Both The Next SuperStar…….. Shahid Kapoor Finish…….Emraan,Arjun,Ranveer May Be….??? Great article Indicine. I believe that the ‘Next Big Thing’ will arrive in the next few years like a Hrithik in 2000 with ‘Kaho Naa Pyar Hai!’ I agree that of the current crop they so far do not have the ‘X Factor’ to woo both the Multiplex and Single screen audiences. Bollywood may go through a lull period like the 80’s which saw the waning of the big superstars of the 70’s but the the 90s arrived and for 20-25 years we have been mesmerized by the brilliance of the top 6. Bollywoods next superstar/s will need to arrive with a Big Blockbuster on debut like a QSQT, Maine Pyaar Kiya, Baazigar or Kaho Naa Pyaar Hai etc etc to get notoced. It is too early to say.. Akshay become superstar in 2007.. Means after 17 years from his debut.. So anybody can be superstar any time.. Bt for me ranbir will surpass hrithik soon..
Wil£ misS khans. EsPecially SRK the legend!!! Can’t say abt next Superstar. BUT KRRISH3 gonna be SURE SHOT EPIC BLOCKBUSTER, CAN’T WAIT YAAR..RAKESH ROSHAN HRITHIK ROSHAN – BLOCKBUSTER written all over it. there is no big 6 coz ajay devgan is not a superstar, he is having good time thats it, superstars are sharukh, salman, hrithik, aamir, akshay. Emraan can never become Superstar coz his movies will never attract Families n Children, while Ranbir is good only Mutiplex actor like Naseerudin Shah n Abhay Deol, while Shahid Kapoor is a Waste, he will keep giving Disasters. Arjun n Ranveer are UGLY while Imran Can’t Act. So only KHANS HRITHIK n AKSHAY will rule Next Decade. END OF DISCUSSION. I think if SACHIN TENDULKAR joins BOLLYWOOD he will become MEGASTAR of INDIAN CINEMA. GOD BLESS our MASTER BLASTER. HE WILL ROCK FOREVER. Why i cant vote from cellphone?